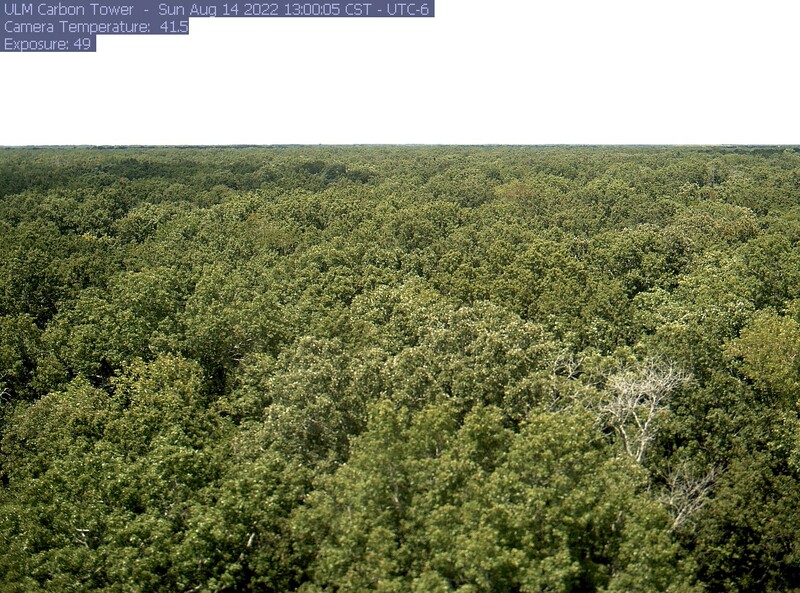 A "PHENOCAM" (camera designated to monitor phenology) has been deployed on the ULM Carbon Tower in the Russell Sage Wildlife Management Area. It looks over bottomland hardwood forest canopy from 34m (~110 feet high) surrounding the tower. Below is a link taking you to the latest photograph of the PHENOCAM.